From obvious tourist landmarks to tube stations, from prized public spaces to the living, coughing, wheezing streets, London has played a central role in some of the most memorable music videos of the past four decades. More than a mere backdrop for the narratives that artists and directors have built, the city often appears as a protagonist in itself, crafting the universe in which a story or moment unfolds. City Now, City Future’s new programme in the museum launches this Friday May 19 and will run until April 2018. The aim is to encourage conversation and understanding in exploring the possible futures for London and the people in it, and asking how those people can strive to make it a better place to live. Read on for a teaser of just some of the videos chosen by Manandhar in her putting together the Music Video Tour Bus, and an insight into how they speak to youth culture in the city. Nina Manandhar: I just think Skepta embodies so much of what people are into right now. I remember the early days of grime and he’s still here, stronger than ever. I felt like the ‘Shutdown’ video was a response to the time Tim & Barry were going to host a Just Jam event at the Barbican in 2014 but the police cancelled it on the grounds of ‘public safety.’ They did get to reschedule it for the end of that year but shooting the video for ‘Shutdown’ there still felt like reference to the initial cancellation. The idea you get is that that spaces like these are not ’open’ for young Londoners. It can be offensive. So it’s great when you see people taking over that kind of space and saying, ‘Look, we’re here, and this is our culture and this is how we are creative.’ That comes across very strongly in the video. It’s like an uprising of a collective, a mass of people coming together in a public space. There’s a thing about being present and visible in a public space and on the streets. There’s a power in that, in taking over spaces and being seen and being heard. Nina Manandhar: It was just through coincidence and luck that this video was restored recently. It’s 18 minutes long so it really is more of a short film than a music video, but for me it really stands out because it’s just something that everyone who has lived and partied in London can relate to in some way or another. You do get to see a lot of the London landscape in a different light. There’s a point in the video, in the early hours of the morning where he comes out of the club and ends up wandering in the middle of Leicester Square or the Trocadero. I used to always go out in central London when I was younger and there’s something special about the feeling of being in the middle of the city that late at night, getting night buses and stuff like that. It’s kind of exciting. Nina Manandhar: This one is sort of the like the dark cousin of ‘Weekender’. It’s also set in a lot in clubs and more underground London venues and spaces but you do see a lot of the city in it as well. The sound is so ‘of now’ and the lyrics say a lot about the city we live in I think. Lines like, ‘This is my city, these are our streets,’ it all just works so well. I’ve seen him speak before and he has a lot of intellectual weight behind what he says. I love the art direction of the video too. It shows this moody, dark, seedy underbelly of London that people maybe choose not to look at sometimes. We’re showing ‘Security’ and ‘Weekender’ back-to-back in a space in the museum that’s modelled around the 2012 Olympics called the Cauldron Room. 2012 was this iconic moment in British history and I think both of those videos show a darker side that exists around those kinds of cultural moments. London street culture doesn’t feel like it’s in the hands of the people and I don’t think the younger generation feel like they have a lot of control or agency. Showing the darker stuff that these videos do speaks volumes about the times we’re living in I think. Nina Manandhar: I know this one is a bit obvious, but sometimes obvious is good. I was about 15 when this came out and I remember it just being so powerful then. And I think it’s still got that power in it now, in that swagger and that strident attitude he’s got walking down the road. There’s something really empowering about watching it even now, a sort of sense of ownership of the streets. It’s set in Hoxton Street, which is quite a local neighbourhood as opposed to being a tourist destination. There’s a sense of community down there. It’s such a simple concept for a video. It’s not one that you can really analyse that much, he’s just walking the street. But there’s a certain determination in it maybe. And I think you need that if you’re living in London. That grit and that determination is something that you can’t survive here without. The video really embodies that. I also just like that he’s wearing Clarks because they’re my favourite shoes. Nina Manandhar: This is another example of that London grit. Just the title lyrics alone: ‘When am I going to make a living?’ It’s obviously something so many of us can relate to, especially in the creative industries. But the words and the way she sings them tell you she’s not giving up. There’s something relatable in her keeping on, despite the struggle. 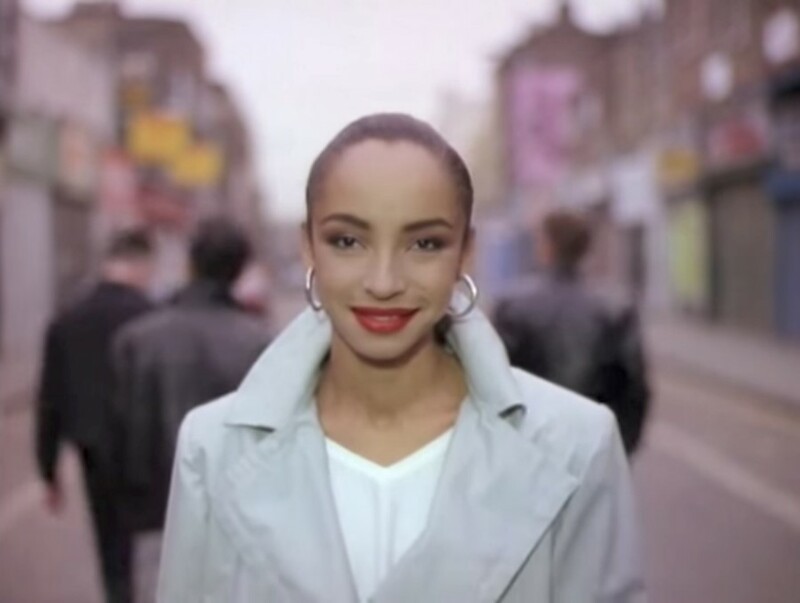 I like the way she goes to the Pie & Mash shop in Dalston in the video too. It’s a Chinese restaurant called Shanghai now. It’s interesting to see the different points of time in these videos and to see how different London looks through the years. You can see these videos as artefacts of a certain time. So I guess that’s why it’s nice to see them in a museum.